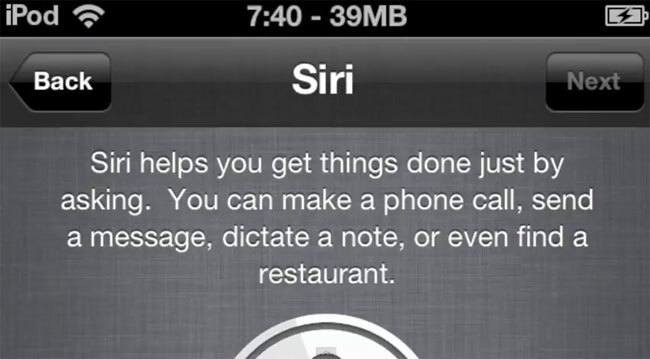 Apple’s virtual voice activated assistant Siri is only available on Apple’s new iPhone 4S smartphone, but we have already seen it ported to the iPhone 4, the original iPad and now it has been ported to the iPod Touch. Although it would seem that the latest port has the same problems as the previous ports as Siri on the iPod Touch is unable to connect to Apple’s servers, have a look at the video below. We suspect someone will come up with a workaround to make Siri, which has been ported to other devices communicate with Apple’s server. Have a look at our handy guide on the difference between the iPhone 4 and iPhone 4S.